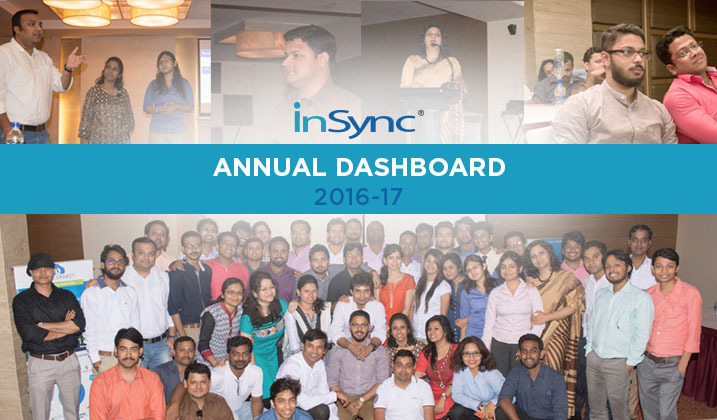 / InSync Annual Dashboard 2016-17: Celebrating Success! On 8th April 2017, InSync Annual Dashboard was organized to celebrate last year’s success and it aimed to bring all the departments together to share their success stories and move forward with the same goal and vision to achieve a bigger success. It was held at “The Sonnet Kolkata”, Salt Lake City. The day started with a great breakfast at around 9 am in the morning. The employees were super enthusiastic and shinning with energy. The Annual dashboard started with our CEO, Mr. Atul Gupta giving the keynote presentation and discussing about last year’s performance and the expectations for the upcoming year. He appreciated the effort made by all the departments and motivated everyone for an even better financial year. After he was finished, all the departments came up one by one on the stage to showcase last year’s activities and share this year’s strategies. It was a great opportunity to discuss what made them achieve their respective goals and where they need to improve. This led to an amazing level of clarity between the teams and the scope for everyone to align to the same goals. The presentation started with the Product and Development team. They showed the features that were added this year, how they work and the new connectors that were developed throughout the year. They also showcased the new APPSeCONNECT Bot (which is currently in beta version) and the very useful “Workflow” functionality which will set APPSeCONNECT Integration platform apart from its competitors. Next was the Implementation and Customer Happiness team. They discussed how they improved their productivity with ZOHO Projects. They also determined how they improved their services to the clients and how we all should believe that “Customer is King”. The Sales team was next. They showcased their enhanced selling techniques which increased their sales over the period. They determined their points of improvement. The channel system had also worked tremendously and brought us some amazing results and valuable partnerships. It was the Marketing team next. 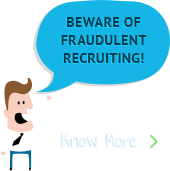 From Inbound to Outbound marketing they had given their best. They showcased their achievements in terms of ranking and visitors and shared the strategies for this year. They determined how they made sure to spread the word and discussed how personal branding is important and how each and every employee can be a brand ambassador. We all needed a break after back-to-back presentations and what’s better than an amazing lunch to fill our tummies! There were some delicious food items waiting to be consumed and everyone engaged themselves over it. After lunch, the dashboard event resumed. The Admin and Infrastructure team shared how they make sure that all the departments can concentrate on their work, while they take care of the other things. They shared some interesting updates they had incorporated last year, like the various safety measures they have introduced and how they were using the office space in the most efficient way. Then, the Accounts and Compliance team showcased their activities and spoke about all the legalities involved, how they work for protecting the company’s brand, asset allocation, budget planning, etc. They are the ones who keep us going and we never know! Last but not the least, the HR Department was on stage. They showcased their activities to improve the overall functioning of the organization and interesting ways of employee engagement. Managing and maintaining a good relationship between the employees and the management of the organization is a very crucial job and the HR showcased how she made sure everything is smooth and everyone is happy! The InSync Annual Dashboard 2016-17 ended. Finally our beloved CEO came up on the stage and appreciated the performance by all the departments. A new financial year is ahead of us and we were ready to take action.